When it comes to male pageantry, Rubaru Mister India is regarded as one of the most successful national pageants in the world. The pageant has produced various national and international titleholders who have brought laurels and pride to the world’s largest democracy, India. The Rubaru Mister India contest is the biggest and oldest surviving annual male pageant of India having being held every year since its inception in the year 2004. The pageant is associated to more than 10 international male pageants and has produced 2 international winners and several runners up, finalists, semi-finalists and special award winners in just a short span of four years. The pageant has grown gradually with time. It was not the same earlier. Let us find out more interesting facts about India’s biggest male pageant and the journey it has covered since its inception. Rubaru Mister India 2016, Mohit Singh after winning the title of Mister United Continents 2016. He is the first Indian to win the said pageant. Rubaru Mister India 2017, Dr. Pankaj Ahlawat’s winning moment at Mister National Universe 2017 competition in Thailand. Rubaru Mister India was founded by Rubaru Group, led by Sandeep Kumar in the year 2004. It was founded as a regional modelling competition in the town of Bahadurgarh in the Indian state of Haryana. The pageant was later named as ‘Rubaru Mister Haryana’ and men from all over the state of Haryana participated in the event. 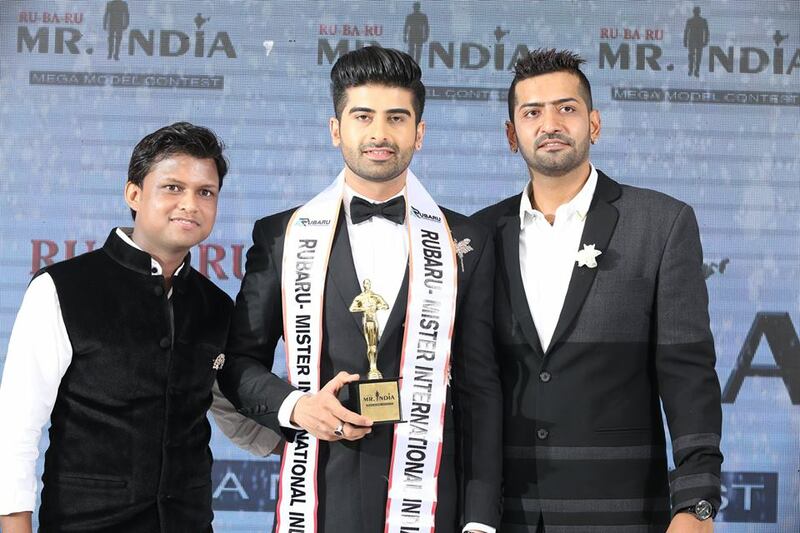 Due to the growth popularity in the Northern region of India and having participants from outside of Haryana, the organizers named it as ‘Rubaru Mister North India’ and opened the doors for men from other Northern states of India to participate in the event. For a couple of years, the pageant held as Rubaru Mister North India. However, due to very low number of male modelling events in India, men from other regions of India applied to be part of the event, it was then the organizers renamed it again and that’s how Rubaru Mister India competition came into existence. The year 2014 proved it be the most significant year for the Rubaru Mr India org. It was the year, when for the first time a Rubaru Mr India winner represented India internationally, at the Mister Model International Pageant held in Dominican Republic. The following year Rubaru Mister India Org. formed association with various other international pageants that included Mister Global, Mister Universal Ambassador, Mister United Continents and Mister Worldwide. In the years 2016 and 2017, Rubaru Mr India Org. 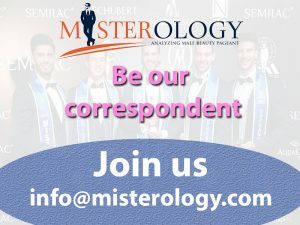 formed association with other prominent international male pageants that include Mister International, Mister Real Universe, Mister Tourism World, Mister Grand International, Top International Model of the World, Man of the Year and Mister National Universe. With every passing year, the pageant is getting associated with a number of international pageants and has become the top notch choice for aspiring India models to taste success. Sandeep Kumar with Pratik Virk, the winner of Rubaru Mister India 2014 and Mister Model International 2014 (4th runner up). The president of Rubaru Mr India Org. Sandeep Kumar has also been awarded with the title of the best pageant organizer and national director of the year not just once but twice. He is the first and only Indian till date to be have this accomplishment. 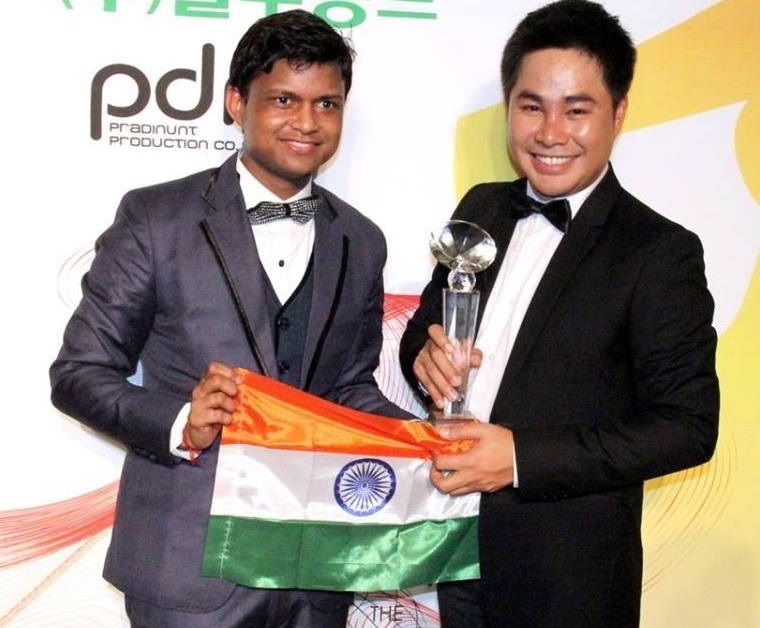 Sandeep Kumar being awarded with the title of “Best National Director” by Luis Trujillo, the president of Mister Model International Pageant in 2014 in Dominican Republic. Over the years, the pageant has produced various notable titleholders who excelled in various fields including arts, television fashion industry, politics and many more. The Rubaru Mr India Organization holds the record of being associated with the maximum number of international organizations. Every year, the pageant is attended by various notable people from the modelling industry and pageant world. Since 2014, the Rubaru Mr India organization has sent India’s delegates to more than 10 different international male pageants taking place in different parts of the world. 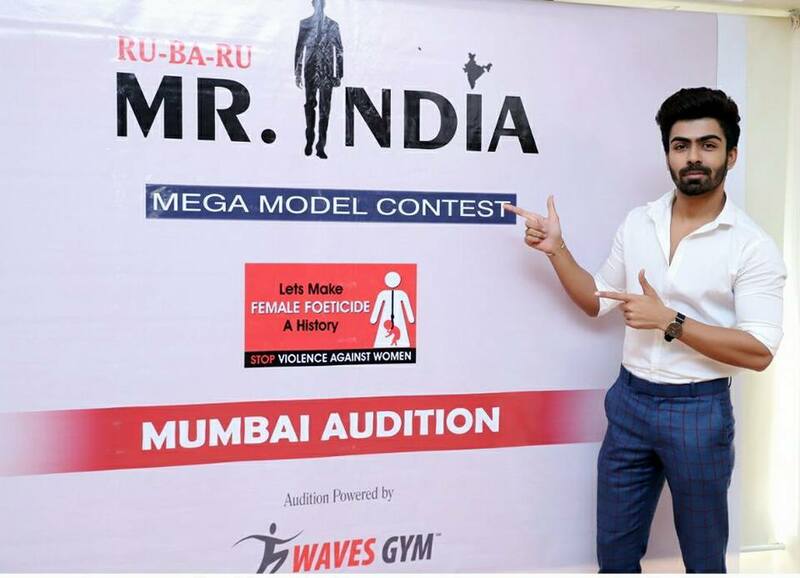 Reality TV star, Splitsvilla fame, actor, model and Rubaru Mr India 2016, Akash Choudhary at the Mumbai auditions of Rubaru Mr India 2018 contest of the pageant. Akash was one of the judges for the event. The auditions for the upcoming edition of Rubaru Mister India contest has already begun. It will be really exciting to see who will be the Indian torchbearers at the world biggest and most prominent international male pageants. Here is the list of Rubaru Mister India winners along with their achievements at the international arena. –Pratik Virk, Mister Model International Pageant (fourth runner up). Pratik is the first ever Mr India to participate in this international event. –Phany Padaraju, Mister Model International Pageant (first runner up). Phany Padaraju holds the record of securing the highest placement India has achieved this international pageant. –Jagjit Singh, Mister Universal Ambassador (third runner up). He also won the title of Best Pool Model at the inaugural edition of Mister Universal Ambassador contest. –Sandeep Chhikara, Mister Worldwide (second runner up). –Ashish Malhan, Mister Pancontinental (second runner up). –Mohit Singh, Mister United Continents (Winner). 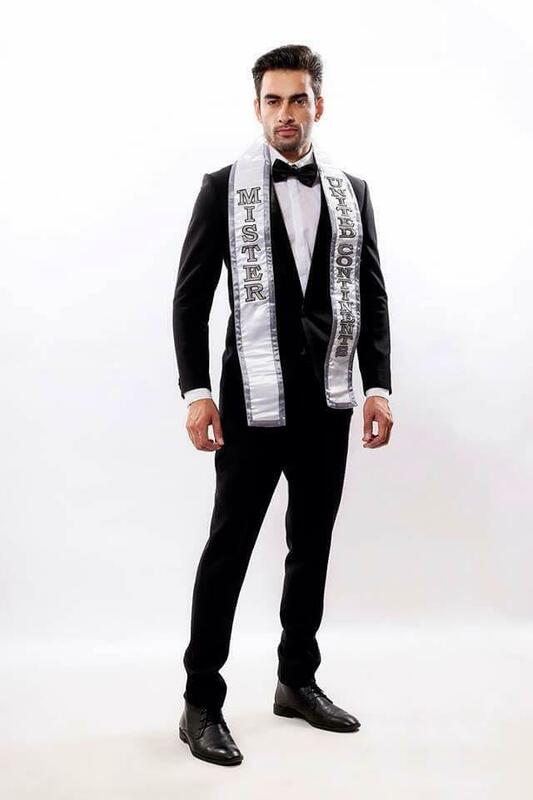 Mohit is the first Indian ever to win the Mister United Continents contest. He also won People’s Choice Award at the said pageant. –Prateek Baid, Mister Global (Best Model). Prateek is the first and only Indian model till date to win the Best Model of the year award at an international pageant. 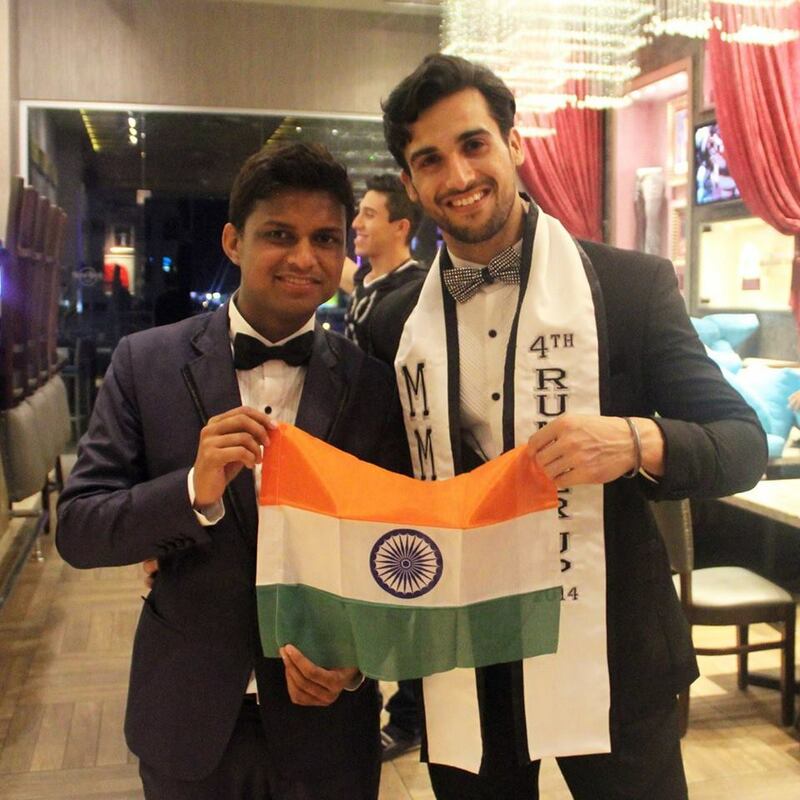 –Mudit Malhotra, Mister International (Top 9).India’s first placement at the pageant in last 8 years and also India’s highest placement in the history of the pageant. –Anurag Fageriya, Mister Model International Pageant (Top 16). First time the pageant held in Asian region, in India, hosted by Rubaru Group. 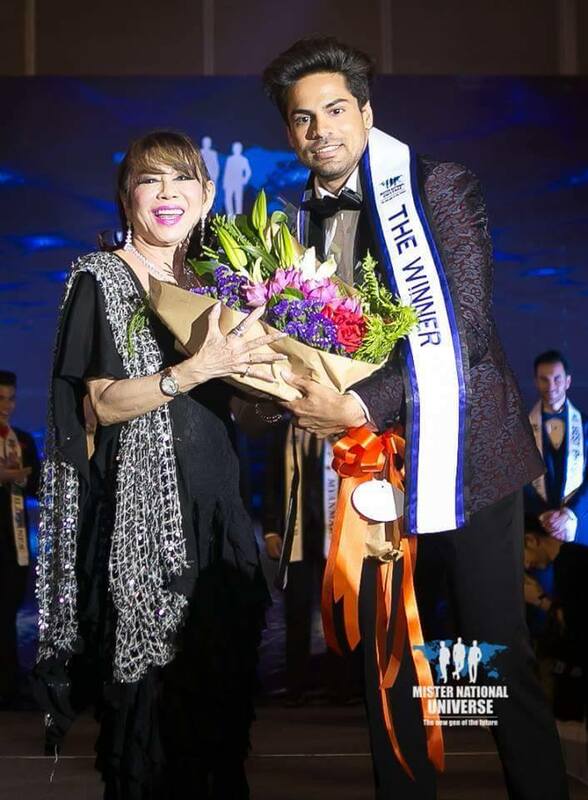 –Abhishek Shah, Man of the Year (Mister Manly),the first and only Indian to win the award at the said pageant. –Dr. Pankaj Ahlawat, Mister National Universe (Winner). The first winner of the said international pageant. Also, the first doctor to hold the title of Mister India. –Srikant Dwivedi, Mister Global (Top 10). India’s highest placed till date at the said international pageant. –Rohit Jakhar, Mister Universal Ambassador (Asian Winner), the first and only Indian model till date to win Mister Universal Ambassador Asia title. Rohit also won forth runner up award. –Rohit Choudhary, Top International Model of the World (second runner up). This year recorded India’s highest placement at the said international pageant. Picture & information source: Rubaru Mister India official social media accounts.